Expected to be back in stock in July. 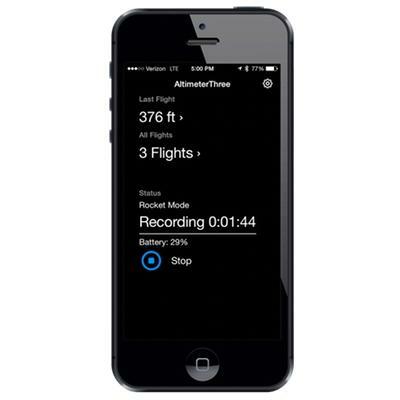 AltimeterThree is a tiny flight altitude recorder that you attach to your flyer and is controlled by your smartphone or tablet. By pressing a button on your mobile device, you can ask it to start recording. When it returns from the flight, the recorded sensor data is downloaded to your mobile device, where you can view, annotate, and share with friends. For certain sports it also records acceleration up to 24G in three dimensions so that you can analyze your flights in even greater detail. If you would like to collect and share flight data, then this is the altimeter for you. It is small enough to go almost anywhere, and it can used for almost any flying activity. 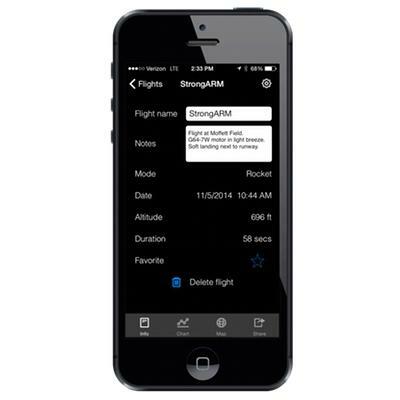 It captures your notes and observations on each flight. 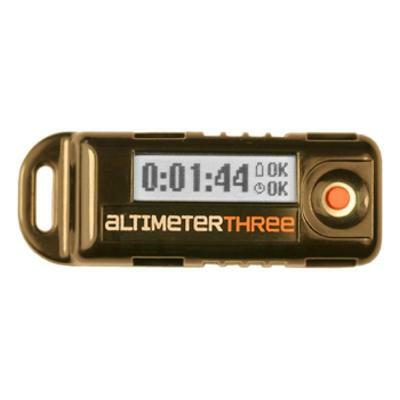 AltimeterThree includes a recharging cable, and can be recharged from any USB port. 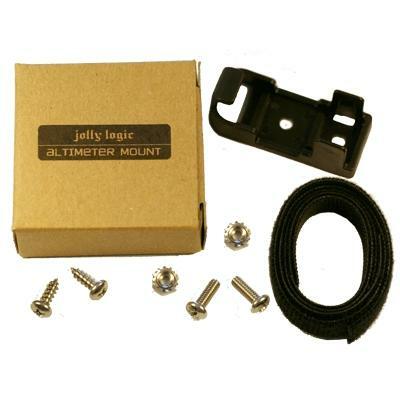 Requires a smartphone or tablet with Bluetooth™ running the AltimeterThree app from the Apple, Amazon, or Google Play app stores. Required: Apple iPhone or iPad running iOS 7+ or Android phone or tablet running Android 4.0.3 or higher. Start and stop recordings using your phone or tablet. Flights are automatically downloaded when you stop the recording. Pinch and zoom to see detail of your flight. Each flight can be shared via email, Facebook, Twitter, Instagram, and Flickr. More coming soon. If you have GPS enabled on your mobile device, each flight will stamped with its launch location. AltimeterThree saves your notes on each flight. Jot down weather conditions, equipment choices, and notable events. Whatever you fly, AlitmeterThree is ready. Handy modes for each activity, including Experimental. 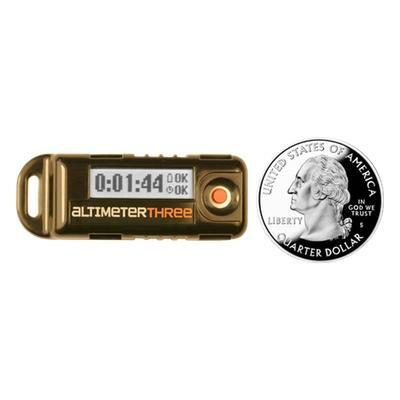 AltimeterThree includes a highly accurate pressure sensor and a 24G, 3D accelerometer. AltimeterThree will update its firmware wirelessly and automatically from your phone or tablet so that you always have the latest features. With a tap, you can send yourself or colleagues a Microsoft Excel spreadsheet of pressure, altitude, acceleration (in 3 dimensions), and all of your flight statistics. You can read the AltimeterThree User Guide here.